I swear by Magic Erasers, they are one of the best cleaning solutions on the planet, in my opinion of course.. 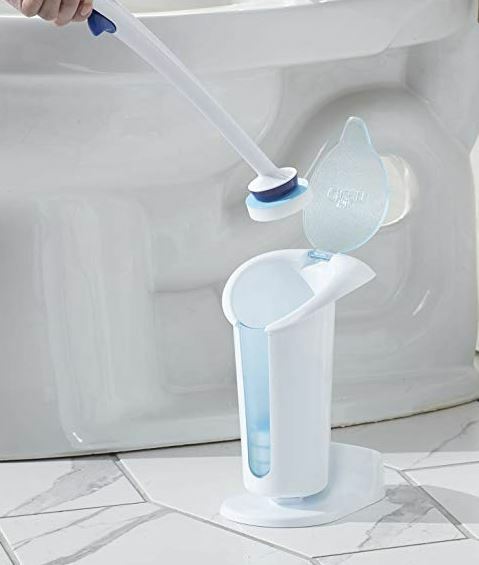 Right now you can get this Mr. Clean Magic Eraser Toilet Scrubber Kit for just $9.51 after you clip the 29¢ coupon (Retail $16)! This kit includes one toilet scrubber handle, one storage and refill caddy, and six refill disks!